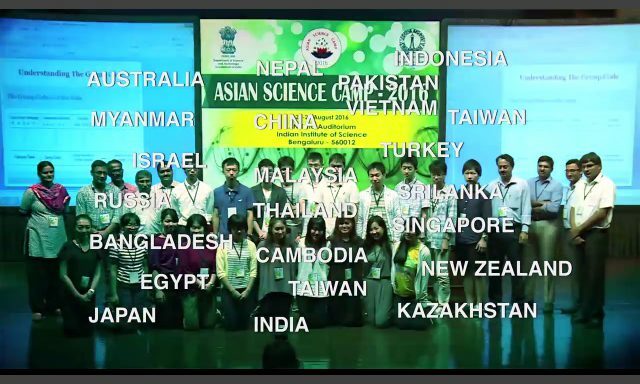 The international youth scientific forum Asian Science Camp 2016 (ASC-2016) has completed its work in Bangalore, India. Participation of the Russian delegation in the ASC-2016 was supported by IFTI. Ivan Smirnov, Head of Educational Programs of IFTI, who had led the Russian delegation, published a short video clip about the forum’s work. Delegations from 23 countries took part in the ASC-2016. It shall be remembered by its warm and friendly atmosphere and, especially, by allowing the students to socialize in an unformal atmosphere with the world’s top scientists, winners of Nobel and Fields Awards.